Latte is a new MacOS-like dock desktop decoration for KDE Plasma. It's first released in 14 January 2017 as v0.5.90. It's now installable for Kubuntu from PPA (and other distros via specific channels). If you're a Kubuntu user and waiting for a decent dock, or if you missed the legendary AWN dock, then Latte is for you. This article will show you some pictures (and GIF) and features of Latte. Enjoy! There's a PPA for Kubuntu 17.04 Zesty and 17.10 Artful, thanks to Rik Mills! 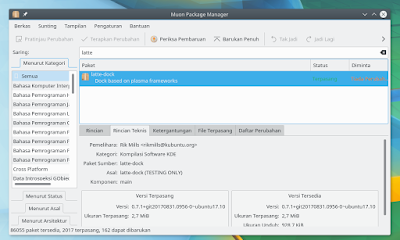 For another Kubuntu versions, at least you have Plasma >= 5.8, use Ubuntu Vibes' package instead. Thanks to them! At this time, the latest Latte release is v0.7.1. Here's an GIF showing Latte Dock in action! I take this on my Kubuntu 17.10 "Artful Aardvark" Beta 1 using Peek Recorder. 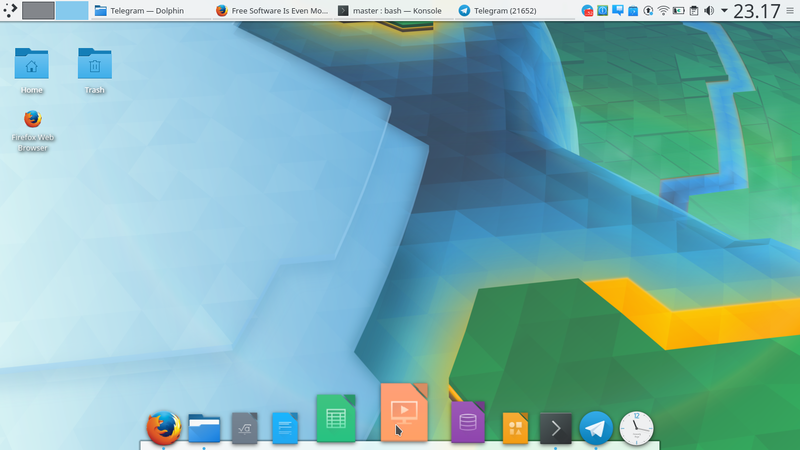 Latte has a Unity layout! This reminds me to MATE 1.18 on Artful MATE. It puts a thin panel on top with a thick vertical panel of left edge of screen. 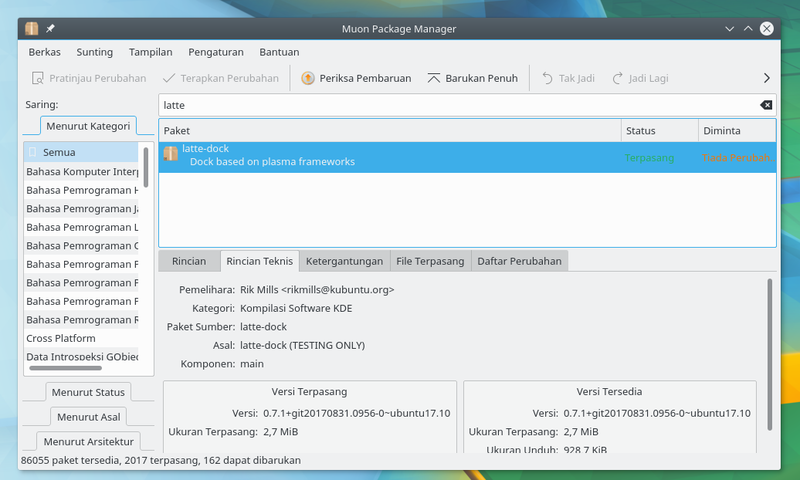 This is potential for you distro developers if you want to make Unity-like interface for your Plasma distro. 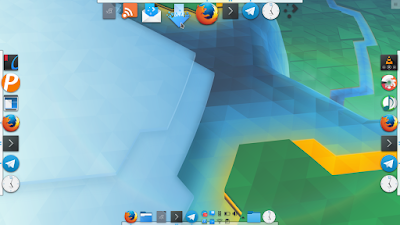 Latte can be positioned on all four screen edges. And you can have two docks or more on different edges simultaneously. Yes, you can put any Plasma widget on Latte! 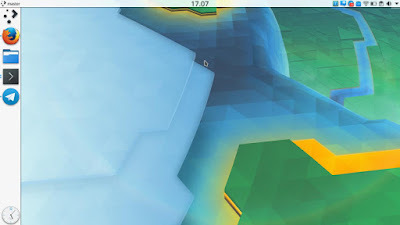 This is a new feature you wouldn't had in AWN dock because Latte is developed using the same KDE Framework as Plasma. For example, here's system tray widget I put on my Latte. By default, it shows only basic settings. If you enable Advanced Mode toggle on top it shows more settings and plus a hidden "Tweak" tab! Personally, what is amusing and I like about this small window is its translucent appearance. A really kool job by audoban & psifidotos! Latte is a free software by audoban and psifidotos licensed under GNU GPLv2+. The source code is available at GitHub and it is also distributed at KDE Store. 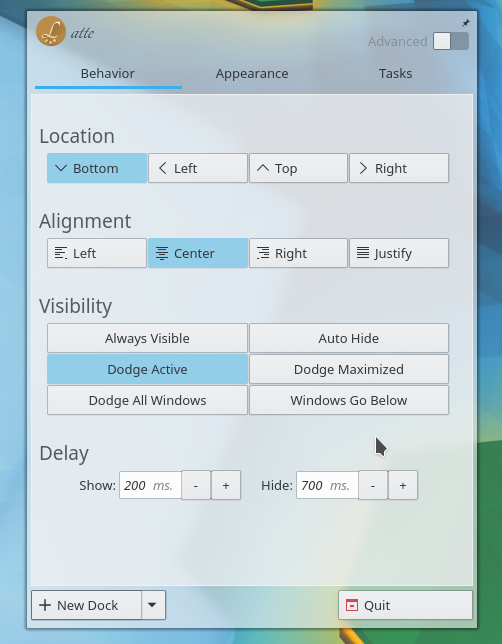 Edited April 2019: As now Latte is under KDE Project umbrella, you can donate to Latte Development via KDE Donations instead (previously via Pledgie, now inactive).